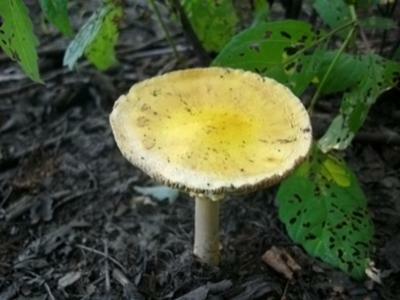 A Miniature Bird Bath for Ladybugs? I can just imagine ladybugs flying to this miniature birdbath. Comments for A Miniature Bird Bath for Ladybugs? Let's use this in the overall picture of the area we're writing about!!! That is so very cute! You see what I'm trying to portray!! 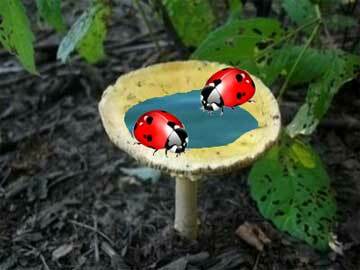 Proof that a little knowledge is a dangerous thing....I doctored your pic with Photoshop to show some ladybugs having fun in a mushroom birdbath!